What Do You Do When You Lock Your Keys In Your Car? 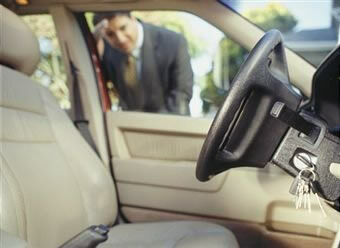 Don’t you hate that sinking feeling the moment you realize you’ve locked your keys in the car? At that moment you want nothing more than to go back in time and fix the mistake you just made. Now is the time you need a quick solution for your problem. It’s time to move into action, so you pull open your phone and search for the nearest locksmith in your area, but is he the best? During this moment in time speed is your biggest concern, not price or quality. The fact of the matter is you want in your car now so you can continue your day. This is the problem numerous Americans run into every year. They have an immediate issue that needs resolved and they don’t have the time to research who the best company is. Over a year ago I found myself in a terrible mess. I was in downtown Eugene at a Oregon Ducks footage game. Everything was going really great until the game ended. I started to make the long journey back to my vehicle when I suddenly realized that I had no keys in my pocket. At that moment panic began to sink in because I wasn’t sure if I had locked them in the car or left them on the ground by my seat. My first instinct was they fell out of my pocket, so I decided to go back and double check my seat. After about 5 minutes of looking around the area I ruled out the possibility that I left them in the stadium so I made my way back to my vehicle. Once I reach my vehicle I began to feel a bit of relief when I saw my keys sitting on the front seat of my car. Everything was moving very quickly on my way into the Ducks game, so I must have accidentally left them behind. At this point I had two options, I could take the easy road and just break into my back window. This would get me in the car quickly, but would cost a lot more in the long run to fix the broken glass. The other option was to look up a local locksmith. Since I wasn’t from Eugene, I had no idea who to call or who to trust. The Google results showed a page full of companies that looked good, but really speed was my biggest concern. I had a long drive back to Portland that day and I didn’t want to get home super late. I decided to go with Locksmith Plus In Eugene Oregon who had the highest reviews. I was delighted when I called and a real person immediately answered the phone. We talked briefly about my issue and the make and model of my vehicle. After a short conversation I was relieved to hear they could come right out and service me. Suddenly that sinking feel I had went away and I knew I was going to get through this. At the end of the day speed is the most important factor when choosing a locksmith company. Whether you stuck in Eugene at a ducks game or you’re in downtown Portland, you need a company that will deliver in a quick and timely manner.